I spotted a card on Pinterest by Angele Keulen that I thought was really cute in design, and wanted to try a similar look but using washi tape. 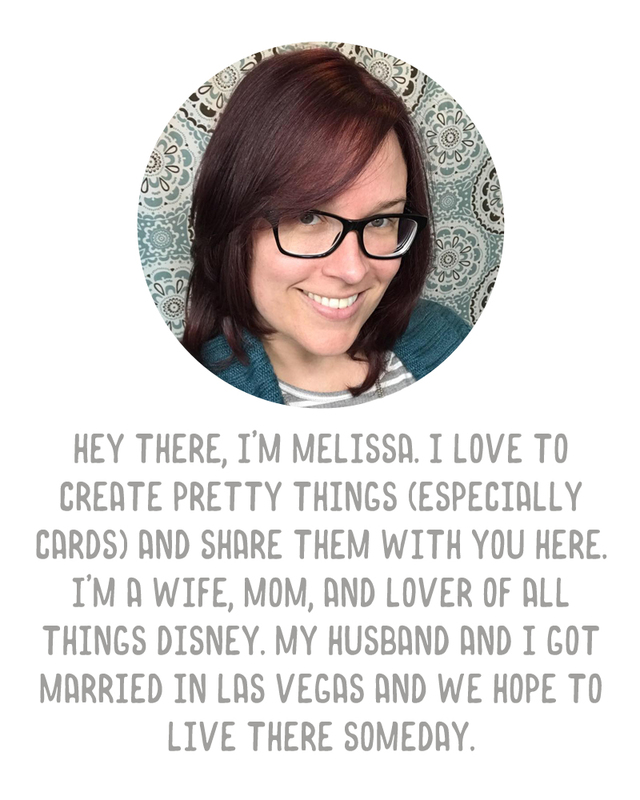 Angele's card is beautiful and simple and lovely, and the one I made...not so much. I wasn't really happy with it halfway through but once it was finished I was satisfied. 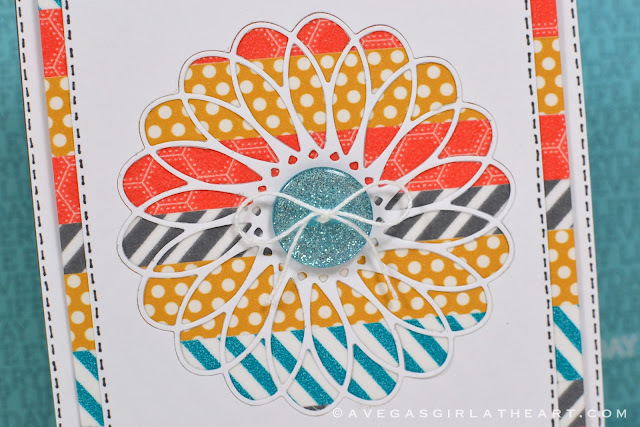 I layered strips of washi tape on a white card, then die cut a flower using the Memory Box Whimsy Circle die. 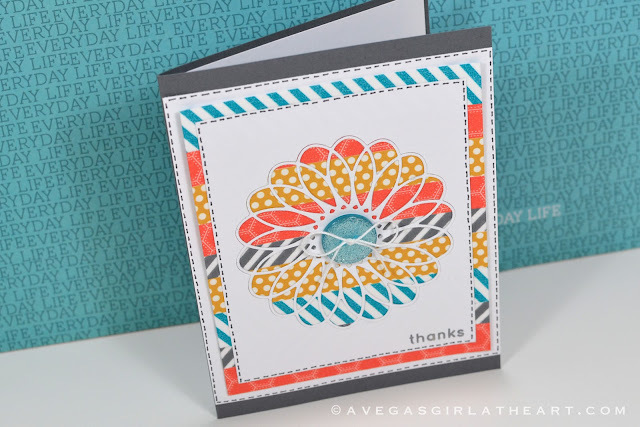 I wanted the die cut image to remain inside the negative space (rather than either just using the flower or just using the negative space), so I ran both the negative and the flower through my Xyron for adhesive, and laid both on top of the washi backer. To finish off the card I added another layer of white card stock behind the washi layer, put it all on a sheet of Stampin' Up! 's Basic Gray card stock, and added a super sweet sparkly button that I tied a twine bow through. I added one of my own stamps in the bottom corner. It turned out quite different from the original inspiration, as you can see. I have been feeling the creative mojo lately. Watching lots of crafty videos on YouTube has me itching for time in my craft room to play, to create, to just have fun. There is a wealth of information on YouTube, completely free. So many talented people! I'm having fun watching Jennifer Gallacher, the videos from Two Peas, and Kristina Werner, to name a few. Who are your favorite YouTubers? I am seriously mesmerized by this card! I love everything about it, and my initial thought is like.. HOW THE HECK DID SHE MAKE THIS?! I REALLY like this card, it's very impressive!! It adds adhesive to the back of whatever you run through it.